Increased public access to data was in the spotlight with two projects recognised last night at the Tasmanian heats of the Asia-Pacific Spatial Excellence Awards. The Award for Spatial Enablement went to Hobart-based InsightGIS for their project with Marine And Safety Tasmania. MAST GIS provides map-based information for mooring owners and to the public, making it faster and easier to find location based information such as proximity of moorings to other moorings, navigational aids etc. 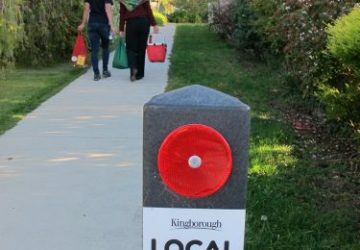 This win represents the second year in a row for Insight GIS who won the same award in 2017 for the Local Links project in Kingborough. SIBA|GITA CEO Deanna Hutchinson said that the community nature of entries speaks volumes about spatial activity in Tasmania. “The value of spatial as ‘technology in place’ has huge impacts on the way Australians live their lives. It is a valuable business planning tool, infrastructure development tool and communication tool” said Deanna. 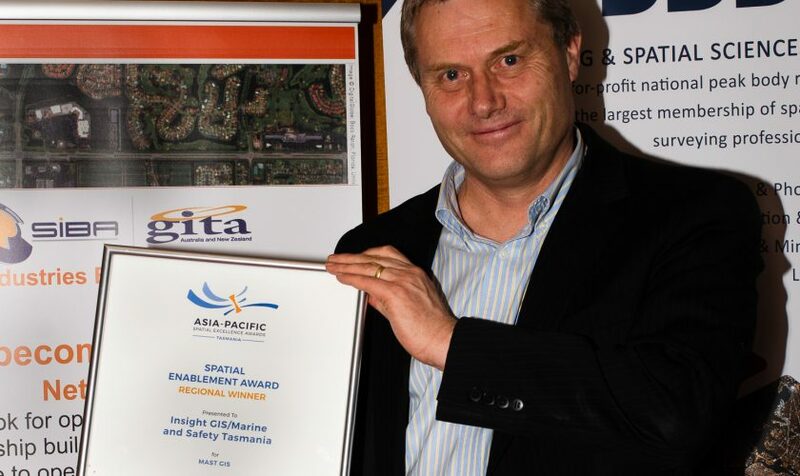 Previous Australian winners of the SIBA|GITA APSEA Awards have included: Mangoesmapping for a reef-saving project targeting the effectiveness of gully erosion initiatives; Data61 for their comprehensive bushfire modelling tool, Spark; Arup Jacobs Joint Venture who developed a world-class clash detection methodology for the Auckland light rail development; and AAM and WA Department of Health for making it easier to find maternity services across WA with the Maternity Services Viewer. Winners selected from each category in each region around the nation will be announced at the Asia Pacific Spatial Excellence Awards Gala Dinner, at the Locate Conference in Melbourne in April 2019. To enter go to https://spatialexcellence.awardsplatform.com. To organise an interview with a winner or CEO Deanna Hutchinson or for more information, please contact Kathy Packenas from KP+Co on 0402 843 037 or kathy@kpandco.com.au. The Spatial Industries Business Association (SIBA) and the Geospatial Information and Technology Association ANZ (GITA) is the leading association representing the Spatial Industry. SIBA is committed to working with Government and Academia to build a more innovative, entrepreneurial and prosperous Australia.